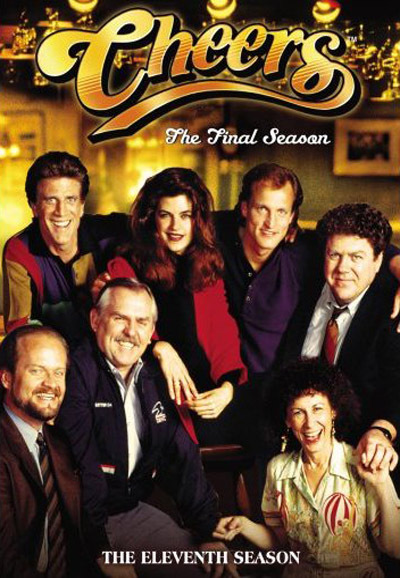 Laid-back Sam Malone, a former relief pitcher for the Boston Red Sox, owns and runs Cheers, a cozy bar in Boston. He hires smart, uptight — and jilted — Diane Chambers as a server, out of sympathy, but their attraction causes constant bickering. Wacky characters fill the bar: sarcastic waitress Carla, beer-loving accountant Norm, know-it-all postman Cliff. When Diane leaves Boston much later, Sam sells the bar, buys a boat and sails the world, but his boat sinks, so he returns. New, ambitious manager Rebecca Howe hires him back, but they love to hate each other too. Thank you so much for all the CHEERS. Much appreciated OverMask.